Some might say they enjoy the 175km challenge around the hills (and mountains) of County Kerry. I call them liars. Given that this was my second time around the circuit I wanted to enjoy rather than endure the cycle this time around. Trimmer (by 5kg) from the last time I took on the challenge, alas the Ring of Kerry was not so much enjoyed but endured, albeit much of this is down to the fact that I didn’t fuel myself sufficiently in the early stages of the cycle. A short stop in Cahirsiveen at the 60km mark, was soon followed by the arduous Coomakista climb and while I reached the summit, I did so with little energy, owed entirely to insufficient food, particularly carbohydrates, in my body, and a rise in temperature, owed to the once-in-a-generation heatwave. After refuelling in Sneem, albeit feeling somewhat nauseous due to the high sugar intake, I completed the remainder of the cycle incident-free, slowly and steadily summiting Molls Gap before the dangerous descent into Killarney. In future, I will be more mindful of my carbohydrates intake, will get a better nights sleep, will put more kilometers in the legs, and will enjoy the challenge as opposed to its endurance. Who said never again? …best weekend I have ever experienced in GAA terms. Having been duped/roped into assisting with the fixtures and results of the weekend from a technical perspective by Diarmuid Cahill, alongside the genius that is Shane D’Arcy, we set up integrating the ServaSport feed into www.feilepeile2018.com/fixtures-and-results using a variety of HTML5, CSS3, PHP, and XML. Not withstanding the phenomenal traffic that the feed garnered (at times the server could not cope with the volume of concurrent connections), the weekend proved to be an incredibly busy one, and although I didn’t see a football kicked, I must admit that it was a magical weekend to be involved in. Check out the videos, posts, and images using #feile2018 to get insights into the craic that was had! Many thanks to Diarmuid for his gentle persuasion and to his trusty network of voluntary sidekicks from Counties Down, Louth, and Meath. I can’t believe I never got involved in Féile Peile before. That has changed…I’ve caught the Féile Bug! I am currently gearing up (ahem) for the 2018 Ring of Kerry Cycle. The cycle, not a race(!) 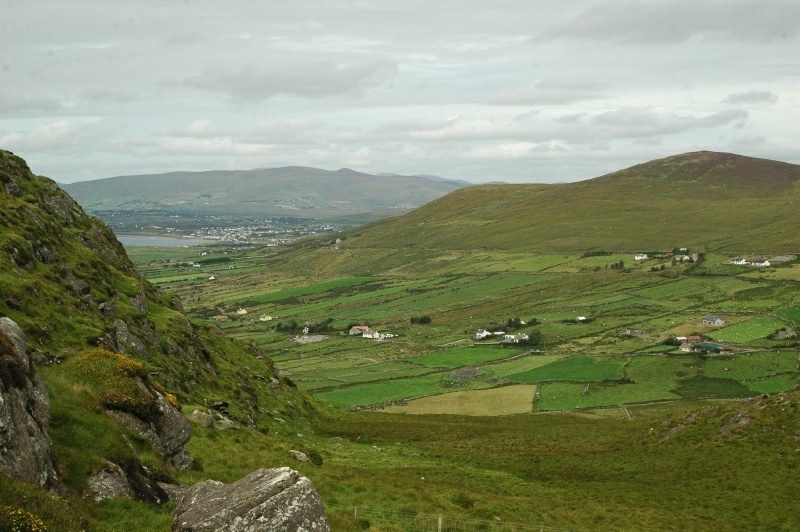 takes place on Saturday, July 7th and is a challenging 175km route through the picturesque hills, drumlins, and mountains of County Kerry. I am raising funds for Down Right Brilliant, who are aligned with the Newry & Mourne Down Syndrome Support Group. Our story began some 35 years ago when a group from Killarney had an idea – to cycle the 175-kilometre ‘Ring of Kerry’ to raise money for charity. 35 years later, that vision hasn’t changed. Our story has. Today, the Ring of Kerry Charity Cycle brings together 10,000 participants each year, making it Ireland’s largest one-day charity event. Together, we’ve raised almost €15 million for 150 charity organisations who make a powerful difference for people in need across our communities. Alongside my colleague Shane D’Arcy, we presented at EdTech2018 in Carlow IT on our experiences of utilising Adobe Connect in separate modules for the first time. These practical modules on programming and animation theory have been previously taught in a face-to-face context but are now included in a part-time blended programme, 80% of which is delivered online. Classes are delivered two evening per week to approximately 15 students (each session), most of whom are working full-time. Our presentation considered the benefits and the limitations of the virtual classroom from the teacher’s perspective. In particular, we outlined some simple techniques used to counter challenges in a number of aspects of the virtual classroom experience such as feedback and interaction, teaching approaches, body language and facial expressions, online activities, “wait time” and “think time”.